Hey Friends!! Its Day 3 of the 12 Days of Giveaway! YAYY!! I hope you all are having fun! Congratulations to our Day 2 winner Kristie Price. The first two gifts have been for one winner only, BUT for Day 3 everyone can join in on the winnings!! 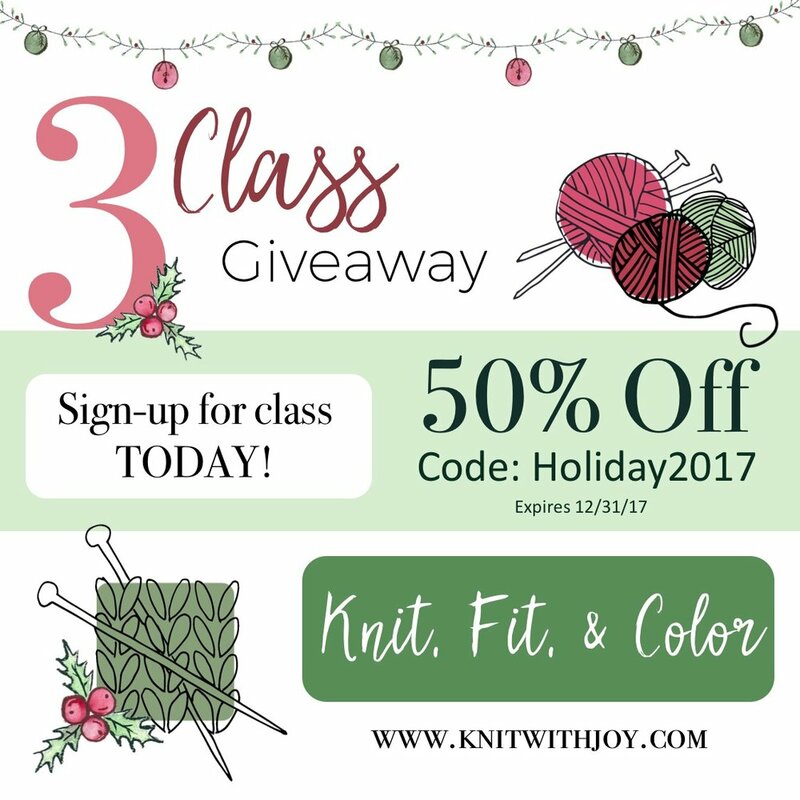 Todays giveaway is from one of the sweetest ladies I know, Joy MacDonell of Knit With Joy (affiliate link)! She's one that I have learned so much from in the sewing community! If you've ever meet Joy, then you know she is so kind and an amazing teacher! This year she opened her online school and starting today you can get 50% off of her classes!! I took 2 of them (The Essential Guide to a Perfect Wardrobe: Finding Your Style and Picking Your Palette) and they are filled with actions steps, printables, and more! These classes are awesome for all makers!! No need for entry rules today! Just use the code: Holiday2017 and you'll receive your 50% off! Thanks for stopping by today! Be sure to come back tomorrow for Day 4 of the giveaway!